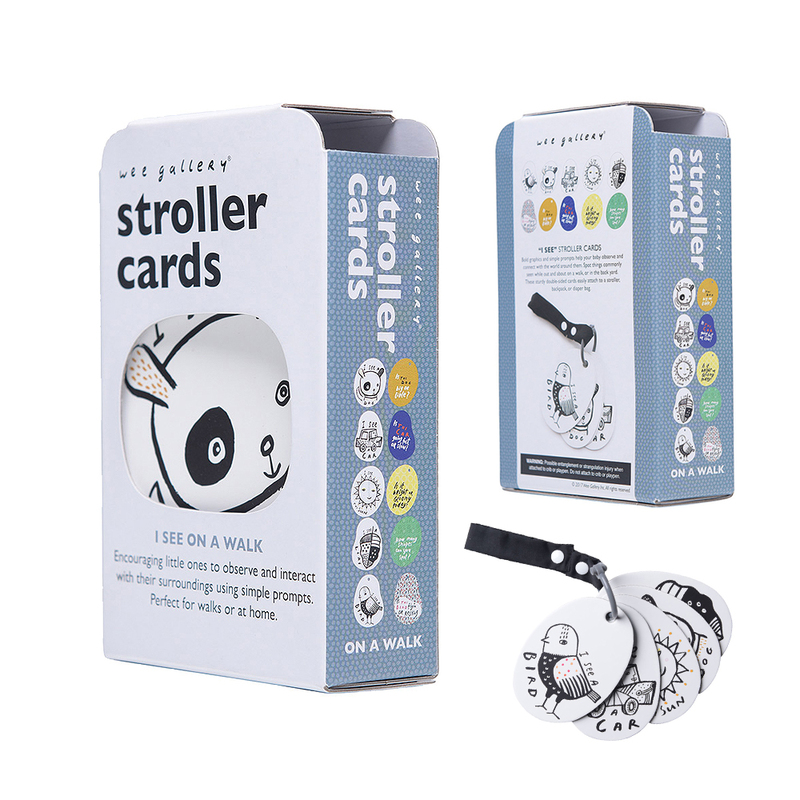 These amazing "I See" Stroller Cards from Wee Gallery are the perfect companion for getting out and about. The bold graphics and simple prompts help your baby observe and connect with the world around them. 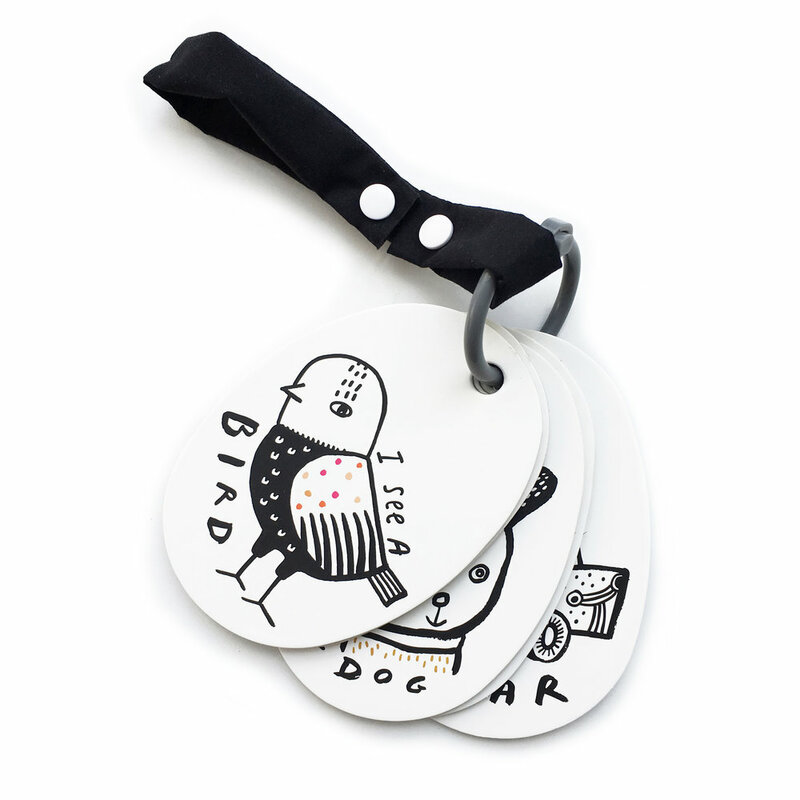 These sturdy double-sided cards easily attach to a pushchair, backpack or changing bag.